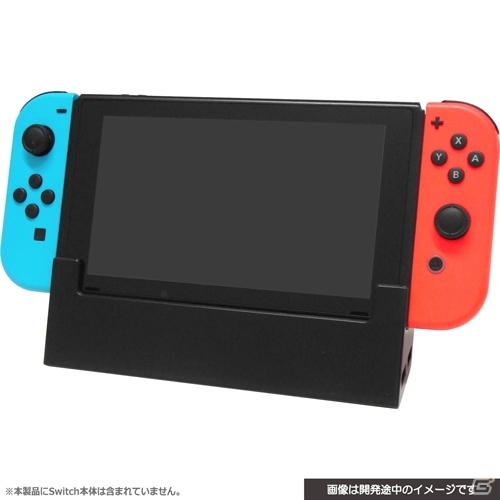 Accessory maker Cyber Gadget has announced a new accessory for Nintendo Switch. The accessory is a dock for Nintendo Switch, but unlike the original Nintendo Switch dock, Cyber Gadget’s dock shows the Nintendo Switch in all of its glory. Just like the original dock, the open air dock comes with a LAN port, USB Type-C port, and HDMI port. The side of the dock also includes two USB-A (USB2.0) ports and one USB-A (USB3.0) port. The Cyber Gadget Open Air Dock is scheduled to launch in late December 2017 in Japan, for 7,980 yen (USD70) excluding 8% sales tax. We’ll let you know when it’s up on Amazon Japan.